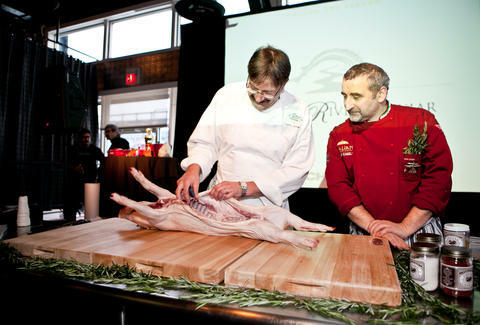 On Sunday at 4p at Four Seasons Vail, eat a ton of Tender Belly-supplied heritage pig at vaunted porkfest Cochon 555, which features a 'tail competition, live pig-butchering demos, and mezcal tastings. Here piggy piggy! Podcaster extraordinaire Doug Benson brings his roaming Doug Loves Movies show to Comedy Works on Sunday at 420p. See what the show's like in the YouTube clip (hint: it's like funny), and then snag tickets.